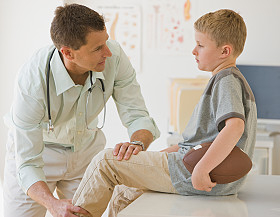 Pediatricians and other low-margin practices could take a significant financial hit during the transition to ICD-10 procedural and diagnostic codes, according to a study in Pediatrics, the journal of the American Academy of Pediatrics. The 68,000-code ICD-10 system is scheduled to replace the 14,000-code ICD-9 system Oct. 1, 2015. Researchers at the University of Illinois at Chicago used the CMS general equivalent mappings tool, or GEMs, to “translate” ICD-9 codes to their more granular ICD-10 counterparts. They calculated that, for pediatric patient encounters, payment and clinical data may get lost in about 8% of these translations. One example of a mistranslation cited by the researchers described how the ICD-9 code for a stillborn twin mapped to the ICD-10 code for a live-born twin. The UIC researchers identified 2,708 ICD-9 codes used statewide and matched them to 174,500 Medicaid pediatric primary-care patient encounters in 2010 at the University of Illinois Hospital and Health Sciences System in Chicago. These encounters amounted to almost $12.3 million in Medicaid payments. The number of encounters includes visits by U of I patients both inside and outside of the U of I system. The researchers classified the translation process from the ICD-9 codes to ICD-10 into five categories ranging from direct equivalent to “convoluted.” In all, 26% of the translations were labeled as convoluted and they represented 23% of state Medicaid pediatric encounters and 16% of Medicaid reimbursements. The potential for financial disruption exists in 8% of encounters because of the loss of data and overlapping or inconsistent diagnostic categories.